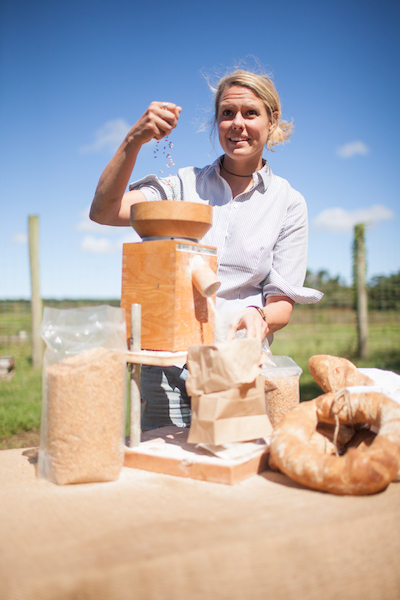 On a recent Saturday, Carissa Waechter was milling hard red wheat berries at Amber Waves Farm in Amagansett. 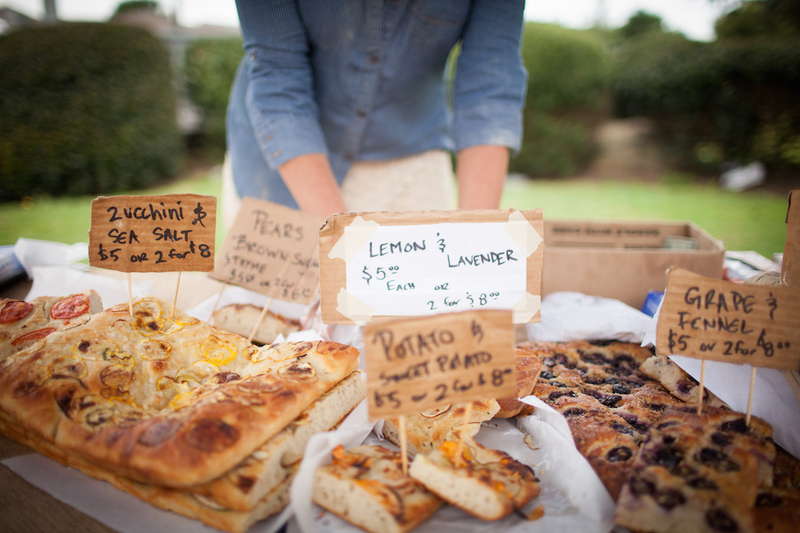 She had a table set up near the fields, and as CSA members picked up their wooden crates filled with fall produce like eggplants, peppers and parsley, she handed them a two-pound loaf, baked the night before. 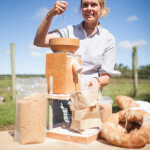 Waechter blends the farmer’s wheat with King Arthur bread flour to give it a nice rise. 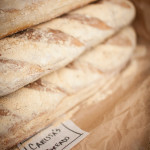 The bread that goes to CSA members has a higher concentration of the farmer’s wheat, giving it an earthy, nutty flavor, grainier texture and darker color than the baguettes she sells at the Montauk Farmers Market. 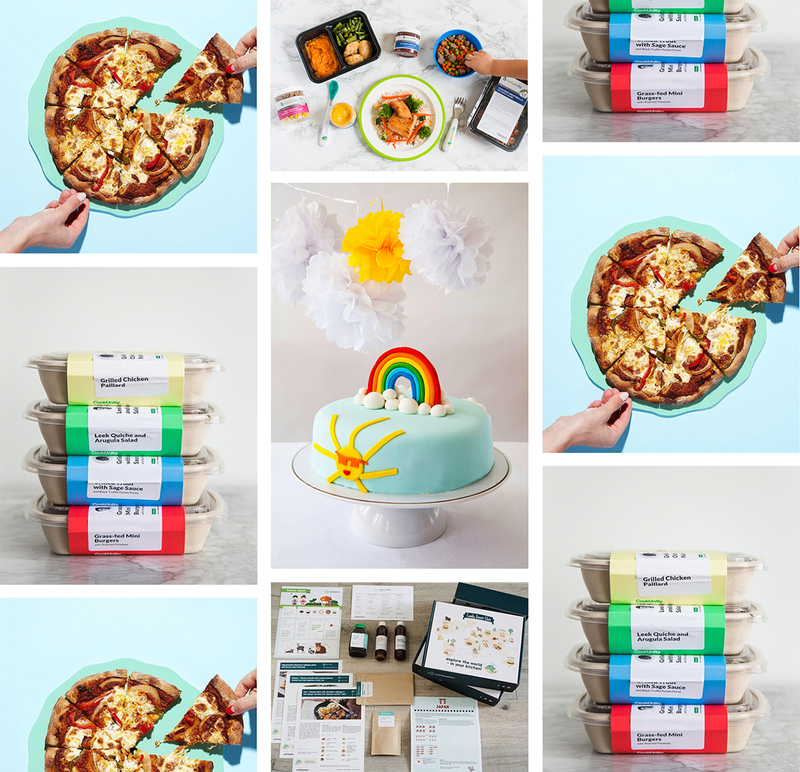 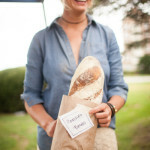 Next season, she plans to offer bread made with 100 percent farmer’s wheat, which will give customers the option of a much denser bread. 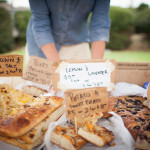 In a hoop house behind her table, she says that after the farmers harvest the wheat, they send it for its first cleaning to remove the big branches. 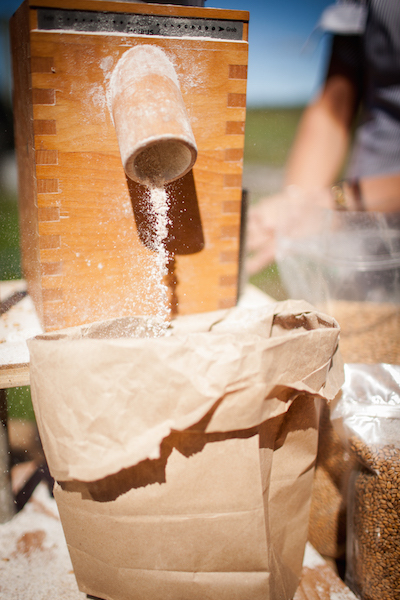 The farmers, interns or Waechter clean the wheat again, using their own machine equipped with four perforated sheets, to clear out the smaller sticks. 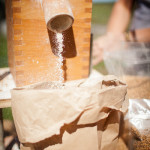 Then the wheat berries dry in bags until ready for use. 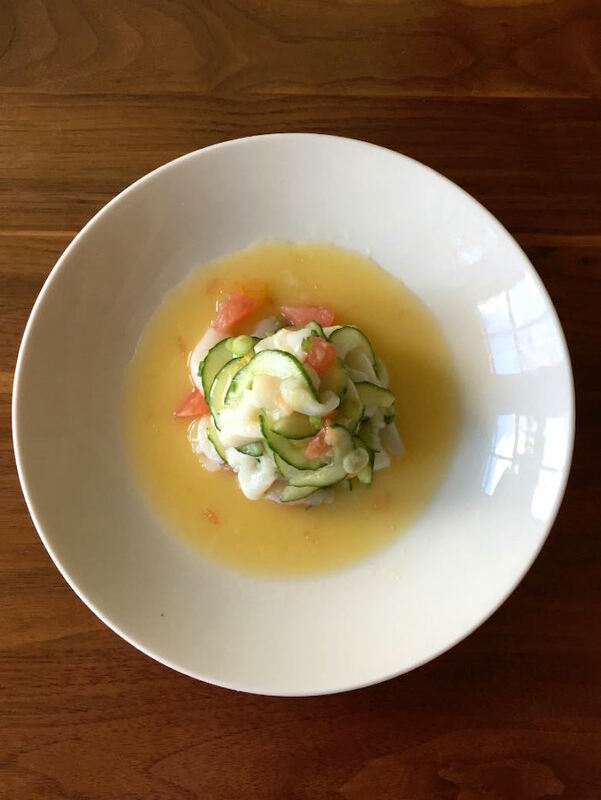 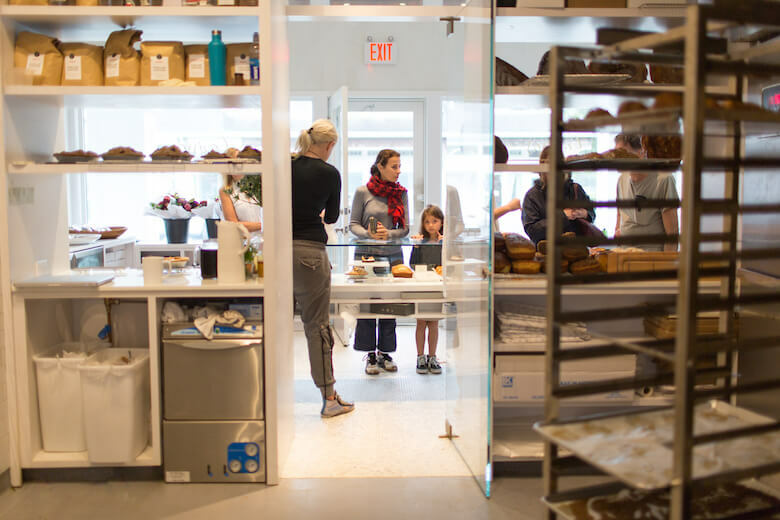 Five years ago, the pastry chef came to the East End from New York City, after working with esteemed four-star chef Daniel Boulud, to work at Eli Zabar’s Amagansett Farmers Market, which fronts Amber Waves Farm. 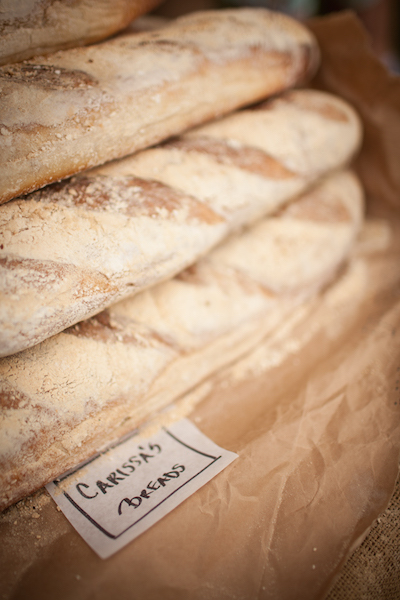 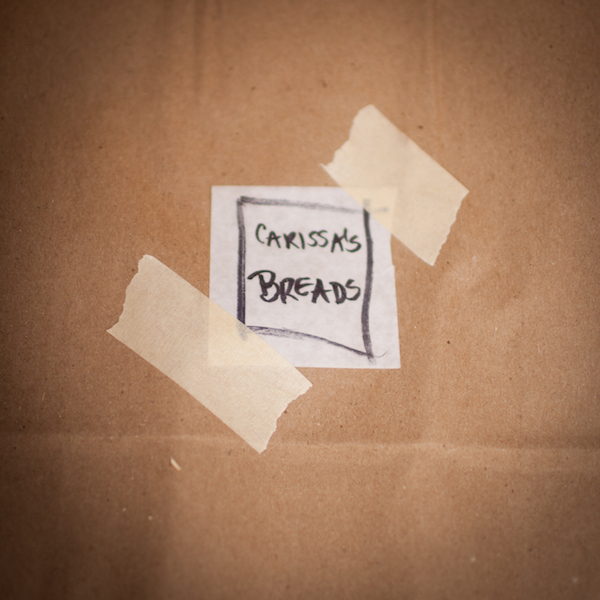 She opened up Carissa’s Breads two years ago, and since then, she’s become obsessed with making the perfect loaf. 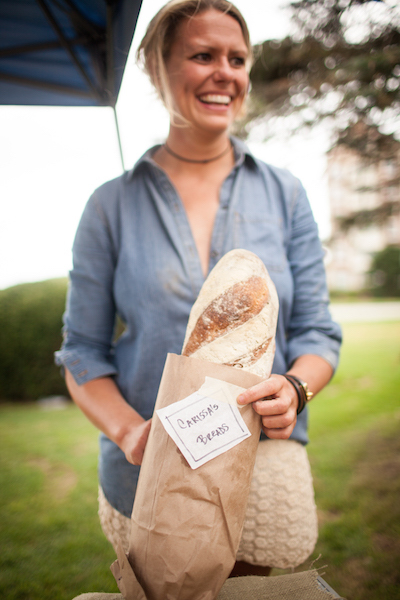 She bakes about four days a week in a wood-burning oven and is the only baker to mill her own flour from locally grown wheat on Long Island, effectively, separating the wheat from the chaff. 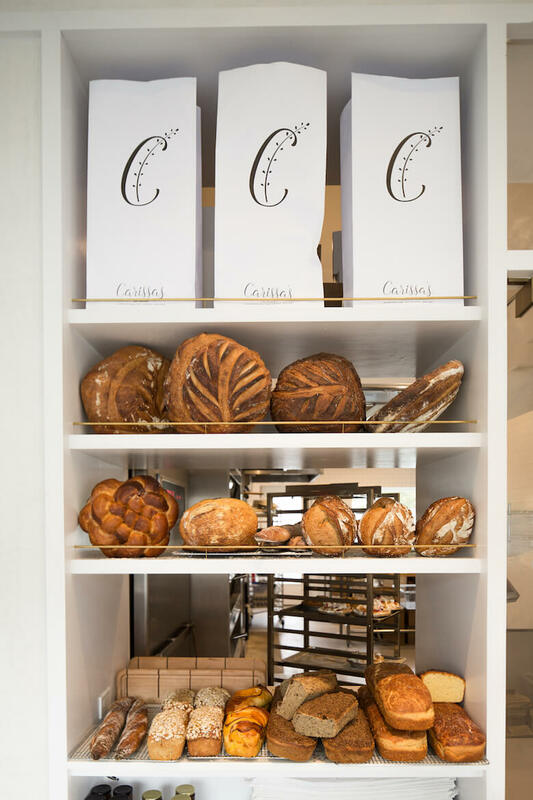 This fall, Carissa’s Breads can be found freshly baked at Amber Waves Farm and Quail Hill Farm on Tuesday and Saturday, at the Montauk Farmers Market on Thursday and at Pantigo Farm Company’s stand on Pantigo Road in Amagansett.